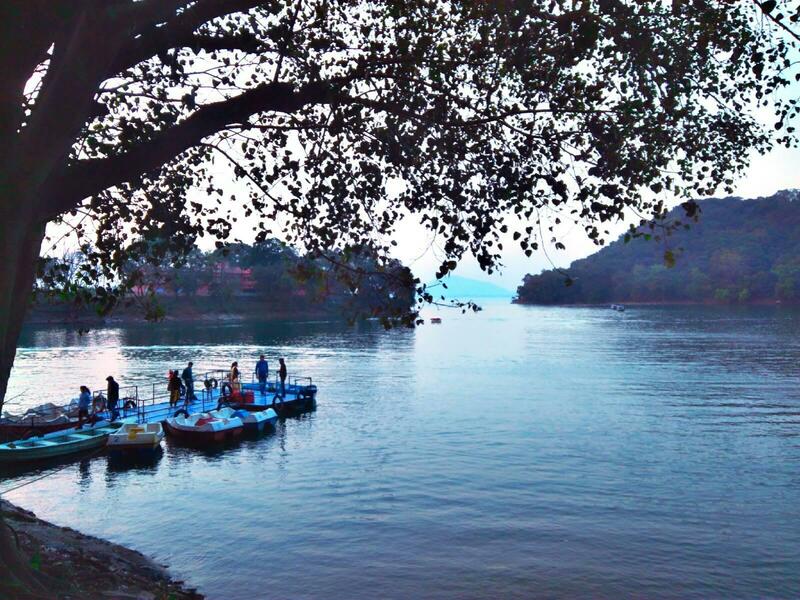 Places Near Kolkata: How about spending a weekend far from your busy schedule and the restless beeps of Mobile? I am listing down few must visit place near Kolkata, which are highly recommended by me and will suit everyone’s travel needs. These few selected exotic places will connect you with nature and disconnect from our material lives, where happiness is not only about spending money but where we can fly kites on the terrace, play kabaddi, listen to the flute, sit under the starlit sky with the noise of the last passing train, soak in the music of the locals, and smell the wet soil. Itavhuna heritage homestay is one such initiative through which village tourism is promoted in this area. A peaceful refuge, away from city’s hustle bustle, in a small village, stands tall the great heritage of Itachuna Rajbari. It is a heritage property owned by the Kundu’s. The whole era of Zamindars living in huge rooms with large courtyards in beautiful architectural abodes comes alive instantly. Cozy bedrooms, clean washrooms, great food, unconditional smiling service that will pamper you. It is just 85 Km from Kolkata, around 90 Mins by road and equally by train. Located at almost backyard of Kolkata the once decapitated Mondal Mansion of Bawali is all set now as a heritage hotel. If not for the architectural splendors, visit Bawali to breathe a fresh dose of oxygen into your tired city lungs. Thankfully, the palatial home in Rajbari Bawali has been restored as a heritage boutique hotel. Bawali is sated with history. You can start with the 300-year-old Bawali Rajbari and the ruins of the 175-year-old Gopinath Jiu terracotta temple. Then, you can stop at Budge Budge Riot Komagata Maru Memorial to pay homage to the martyrs followed by a visit to the Ferry Ghat where Swami Vivekananda was greeted in 1897 during his return from Chicago. 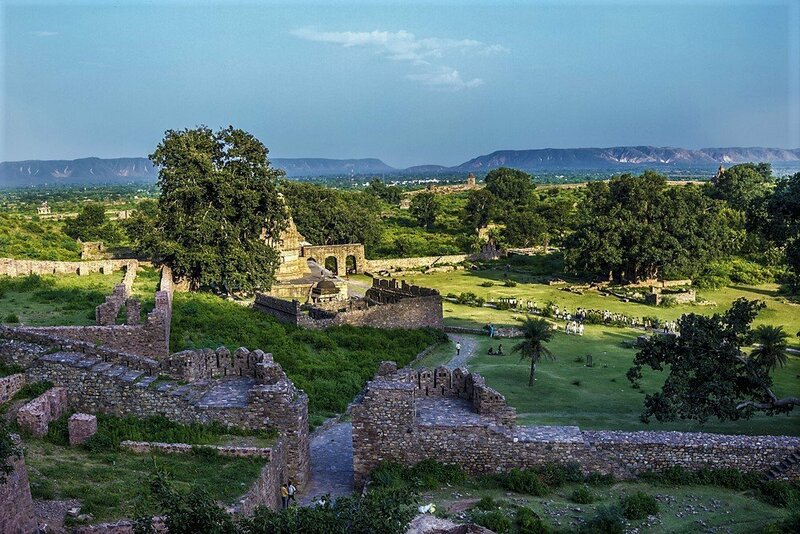 You can also visit Raipur river, Tong Achew Memorial and the renowned Barood Ghar. The furniture and fixtures of the sensational Bawali Mansion maintain the vintage look and the numerous photos of old Hollywood dot the walls along with beautifully decorated mirrors. Bone China vases with potted plants have added a new dimension to the mansion. Lately, Raichak has emerged as a sought-after weekend destination, a drive away from Kolkata, offering a spectacular view of the river Ganges and the 18th century Radisson Fort or the Raichak Fort. Situated at the banks of the river Hoogly, Raichak proves to be a quaint settlement, famous for its serenity and scenery. It is a pleasant destination which gives travelers a tranquil and peaceful atmosphere. Raichak is the most lucrative river bank destination these days for the tourists. Raichak is in the southern suburbs of Kolkata, on the eastern banks of the Hooghly River quite near where the river meets the Bay of Bengal. The location is very close to Diamond harbor a most famous point for sea fishing in Bengal. The village of Deulti, nestled on the riverbank of Roopnarayan, is a popular sightseeing destination of Howrah. It is an ideal weekend getaway from Kolkata if you love the calm mysticism of the village. So there must be little wonder why your effervescent excitement will drive you to Deulti in that case. You will love the serene natural set up surrounding the village which is a perfect vacation spot, cradled on the bank of the Roopnarayan river. Travellers who are interested in the culture and heritage of Bengal, especially about the literature, can visit this interesting place to cater to their taste in Bengal and its natural surroundings. This is the birthplace of famous Bengali novelist Sarat Chandra Chattopadhya (author of Devdas and other novels). Deulti is a romantic rural escape, far from the bustling city life, located at 60 km from Kolkata and well connected via roads and railway. This serene retreat is located at about 6 kilometers towards the western part of Bagnan in the Howrah district of West Bengal resting on the bank of the River Roopnarayan. An aura of mystery and smoky hues of obnoxious desolation has its mark felt upon this island called Machranga Dweep. This bleak island is roofed by trees and is measured as an ideal hub for a fun-filled day trip. The island is nice for a nature walk over the stretched green fields and in the distance where enchantment screams one can also visit the villages of Bangladesh. It is a petite island in the middle of Ichamati river that is still more or less a virgin spot and a secretive destination for bird lovers and photographers. Kingfisher Island touts of being a beautiful landscape surrounded by trees and flowing river. If you are tired of searching for a good picnic spot and you don’t like too much crowed then this is the right place for you. An amazing place near Kolkata, only 75 km from Kolkata. It is a matter of great solace, while you visit Machranga Dweep or Kingfisher Island. Machranga Dweep has Bangladesh on one side and India on the other. This desolate island is covered with trees and considered an ideal for a fun-filled day trip. This island is fully controlled by the Border Security Force. It is an excellent picnic spot during the winter season. From there you can see Taki, which is on the mainland. It is advisable to travel to Machranga Dweep in the evening, as it will present you with cool breeze and sunset in the dusk, while the dawn in Machranga Dweep is awesome. Achipur is an old Chinese colony and the place derived its name from the Chinese businessman, Atchew Tong. The place is considered a gateway for those interested in the history of the Chinese community. You can even opt for picnics in this place, enjoying the sight of the Hooghly. Achipur remains a sleepy hamlet for twelve months a year, except during the Chinese New Year, when the whole area turns into a fairground. On the weekends preceding and succeeding the New Year, a major portion of the Chinese community in Calcutta descends on the village. Achipur is an ideal place for picnic situated on the bank of River Hooghly. During Winter, the Itkhola Math and the river bank remains full of tourists. Many people come here to picnic due to its close proximity to Kolkata. You can also take a walk on the banks of Hooghly River or hire a boat and sail in the waters of the river. Here are a few locations good for a weekend trip which are close to nature and not much explored. A home away from home with a blend of beauty and an abode of exquisite experience awaits for you at Garpanchkot. Close to your root, nested in the Purulia district of West Bengal, near to Panchet dam with the beautiful backdrop of Panchet hill. Garpanchkot shall offer some solace to your soul while refreshing your cognition with its scenic beauty. A natural splendor of forest and hills makes this place an ideal weekend destination. When you reach this place you will be greeted with such howling sight that the tiresome journey will seem oblivious to you. A walk through the forest of ‘Sal’, ‘Tamal’, ‘Sonajhuri’, ‘Palas’ will rejuvenate you with the aroma of the flowers and leaves. Kashipur Rajbari (palace) which is a palace located about 50 KM from Garpanchkot which has an architecture inspired by colonial structures built in the late 1800 century. This is a marvelous piece of architecture combined with red bricks, stone, concrete, and wood. The region had a rich culture and spiritual past. 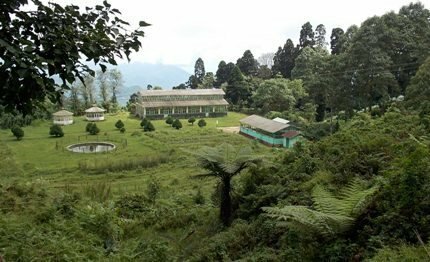 The picturesque Ramdhura is a village tucked in the heart of the monsoon forest in the district of Kalimpong and a new found gem of North Bengal which is far away from the urban life. The view of the iconic Himalayas is indeed spectacular as it provided a gateway far from the city’s pollution and monotony. If you are in mind to enjoy the exotic surrounding, spectacular hilly terrains, lush greeneries, rubber plantations, clean air, and the serene sunrise then probably you are in the right place. 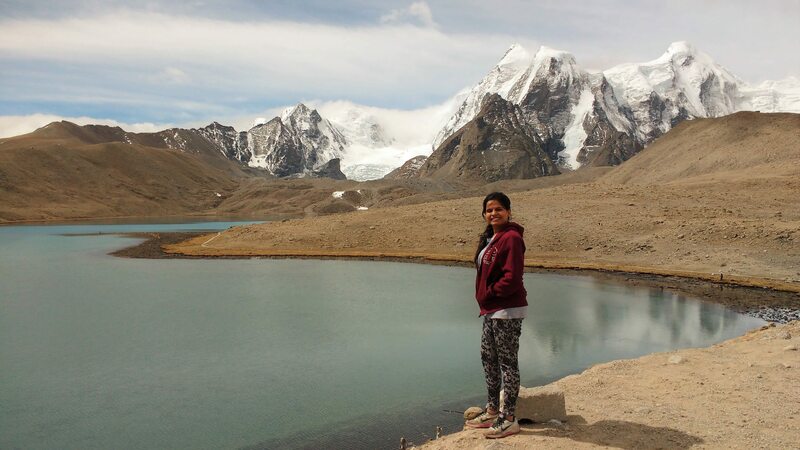 While at Ramdhura, you can visit the pristine Ichhey gaon or “Wishing village” termed as an Eco-friendly organic village, located at an altitude of 5800 feet to witness the mundane activities of the villagers. Icchey gaon is a heaven of peace and the only sound is clamoring for numerous colorful birds. Sillery Gaon is another well-known village, just 2.5 Kms, which can be covered by light trekking. Sparing some time with the innocent villages and watching their lifestyle is worth. The lush green forest of the valley is studded with woodlands of Pine, Birch, Juniper trees and other tropical trees. The trek through the dense forest is one of the favorite treks for bird watchers and perfect for nursing the soul of a nature lover. Rare orchids and the beautiful canopy of Rhododendron was a spectacular sight which was unforgettable. Takdah in West Bengal is now an offbeat tourist destination is known for some of its untouched beauty, homely foods and stays.‘Takdah’ the name originated from the Lepcha word meaning fog or mist it is perennially under. Takdah (the alias name of Tukdah) is an enthralling expanse of Darjeeling reminding you of the antique reminiscent charm of the British period, with tea garden and Cinchona plantation in the surrounding area. Situated in the Runglee Rungliot region of Darjeeling district, it has almost 5100 feet altitude at the foothills of the Himalayan Forest vegetation. Takdah is reputed for having the best British heritage bungalow and orchid garden. It is not a popular tourist destination like Darjeeling which remains pretty congested throughout the year. If you are amongst those who like lovely mountains, orchids, tea gardens, and walking trails through the coniferous forest across the mountain slopes then these small hamlets – Takdah would be the perfect answer. Although the altitude is much lower than Darjeeling town, the place is comparatively cooler to its surrounding area. The word Tinchuley stands for three chullhas (chullha means oven), and this is represented by three prominent hilltops that resemble the three chullhas. The inhabitants of this quiet settlement took an initiative for establishing their locality as a model organic village. This eco-friendly village terminus surrounded by tea Gardens, Orange Orchard, and majestic Mt. Kanchenjunga making it the most promising eco-village and one of the key destinations in Darjeeling district. It is a treasure secret eco-friendly tourists destination in Darjeeling. Tinchuley is an emerging remote hamlet located close to Darjeeling. It provides stunning Himalayan views with the Majestic Kanchenjunga towering over the entire region. Tinchuley specializes in Village Tourism and one can take village walks, nature hikes, and tea garden visits during their stay here. The untouched natural forest is a birdwatchers paradise and sunrise views from specific points in this region are greatly talked in recent days. Tourism in the area grew exponentially over the last decade and today Tinchuley has the mentionable number of homestay, lodge, and resorts. Mukutmanipur is a small serene town alluring many tourists who come in the search of a peaceful vacation. Besides the natural beauty on offer, this place creates a spiritual environment for its visitors. As the sacred environment mixes with the gorgeous views, the town in the Rarh district of West Bengal becomes truly breathtaking. Tucked amidst the greenery and earthly beauty, the ravishing Mukutmanipur is a perfect place for those who want an elegant amalgamation of nature at par with architectural marvels. Its inclination towards spirituality and faith makes it a major hub amongst the spiritual followers, as Mukutmanipur is an abode of beauteous temples dedicated to Jainism. Parashnath hill, considered as one of the most vital pilgrimage centers of Jains, is the highest peak in this area at 1350 meters. A vacation here is largely about spending some moments of peacefulness in nature. In Mukutmanipur, the vast bluish tract of water body enclosed by the green forests and the hillocks comprise a picturesque and you cannot elude but continue clicking tireless so long your gadget gives you warning of shrinking storage. Bakkhali, the seaside town can be an amazing destination to visit. Bakkhali is the perfect destination for the nature lovers who want to spend some time in peace, serene and quiet place. 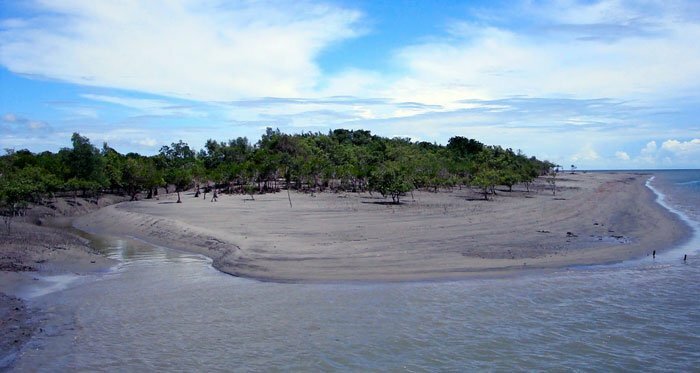 Bakkhali is situated on one of the galore of deltaic islands spread across southern Bengal. WHY? Most of the islands are part of the Sunderbans, excluding a few at the fringes. Some of these are linked with bridges over narrow creeks. This petite island juts out into the immense expanse of the Bay of Bengal. 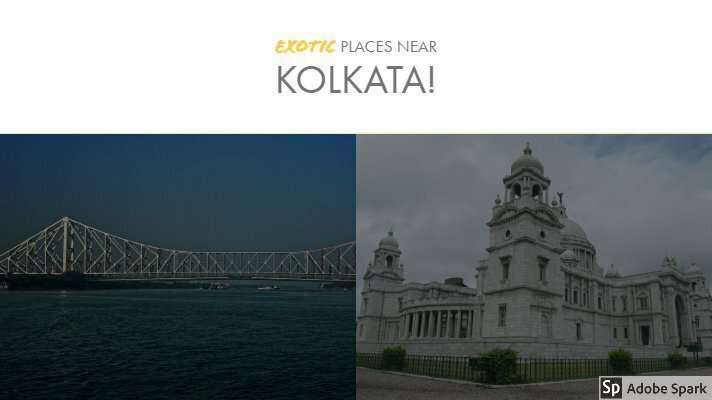 Next time you are in Kolkata, go away from the city chaos and land at these awesome places for fun. Have fun and enjoy every moment of your life. To know more about our awesome and diverse country, do visit us again. I shall be back very soon with more interesting stuff from the different part of our country. Until then keep traveling and keep exploring. I invite you and your friends to join and grow our effort in creating India’s biggest travel community to discuss, celebrate and help the best of travel & life. Please join! Dear readers, I hope the blog post answered some of the questions about weekend destinations near Kolkata. Do you still have a question? Feel free to comment or rate us by clicking the 5 stars. An ardent traveler and photographer, seeking to utilize her skills and abilities in travel and tourism industry offering professional growth while being resourceful, innovative and flexible. 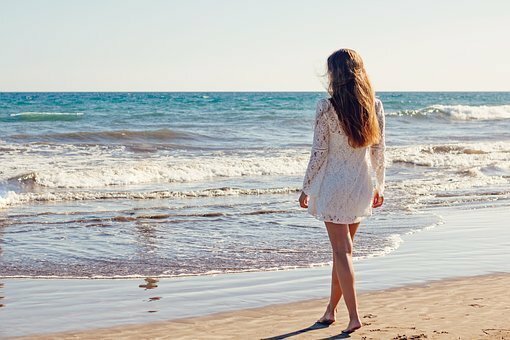 She intends to perform consistently & build a symbolic relationship with committed & dedicated people, which helps to explore herself fully and realize her potential. Possess strong ethic, Pro-active in approach, loyal & honest with work responsibility. Possessing high level of self-motivation and actively love contributing innovative ideas with absolute confidence. She is having an integral attribute by maintaining good relationship with people and nature.